The eternal love story of Laila and Majnu has fascinated people over the centuries across several countries. In Bollywood itself, some 4-5 films have been made on the lovers, that too since the time of silent films era. Now Imtiaz Ali presents a film on this topic directed by his brother Sajid Ali in association with Ekta Kapoor. Imtiaz is known for his intense love stories and has shown obsessive characters in the past and Laila-Majnu’s tale is also on similar lines. So does LAILA MAJNU manage to do justice to the spirit of the story and turn out to be a great entertainer? Or does it fail? Let’s analyse. 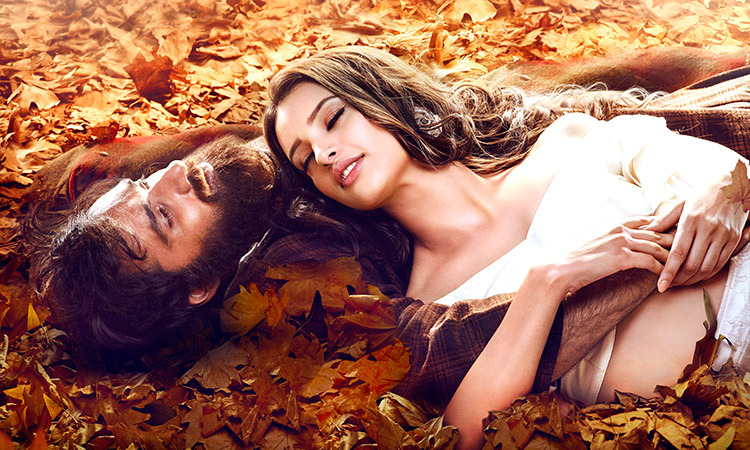 Imtiaz Ali and Sajid Ali’s story tries to do justice to the actual tale of Laila and Majnu. But Imtiaz Ali and Sajid Ali’s screenplay is difficult to digest especially in the second half. Also it gives a déjà vu of ROCKSTAR . Hence, the freshness element gets marred since viewers have already seen it before. But there are places where the craziness crosses all boundaries and it is unconvincing. Imtiaz Ali and Sajid Ali’s dialogues are however effective. Sajid Ali’s direction is quite good for a first timer and he definitely seems inspired by brother Imtiaz. He keeps viewers engaged but he fails to achieve mass appeal for his film. LAILA MAJNU’s beginning evokes mixed reaction. The character of Laila is presented in a unique manner but to show her as a flirt is unconvincing. The sequence of Kaes peeing at the same spot where Laila is hiding is disgusting and one wonders why the writer wrote such a scene. Things get better once Laila and Kaes start seeing each other. The scene where Ibban follows Laila and Kaes is quite dramatic and same goes for the sequence where both the fathers meet. The intermission comes at a significant juncture. Post interval, the film goes on a different track as Kaes transforms into Majnu. This bit is bound to go bouncer for a lot of audiences as the depiction of his craziness is extreme. The film also ends on an unconvincing note. Performances however are exemplary. Avinash Tripathy delivers a confident and a very impressive performance. As Kaes, he’s efficient but as Majnu, he goes on another level. And it doesn’t appear like a caricature. This is no easy feat. Tripti Dimri does a great job in playing the vivacious Laila and again, knows where to draw the line while enacting. In the second half however she gets limited screen time. Sumit Kaul is the surprise of the film. He plays his part very nicely and he’s sure to get noticed and talked about! Parmeet Sethi and Benjamin Gilani deliver decent performances. Sahiba Bali (Laila’s sister) is fine. Others do a good job. Joi Barua and Niladri Kumar’s music is indispensable to the film. Not all songs are memorable but they add to the impact. ‘Hafiz Hafiz’ is the best of the lot as it is in sync with the crazy happenings in the film. ‘O Meri Laila’, ‘Tum’, ‘Sarphiri’ and ‘Gayee Kaam Se’ are soulful and melodious. Hitesh Sonik’s background score is also very nicely done. Sayak Bhattacharya’s cinematography is spectacular. Kashmir has been captured in a lot of films but never like this. Niharika Bhasin Khan’s costumes are very authentic and same goes for production design. Editing is simple and neat. On the whole, LAILA MAJNU is embellished with some fine performances but it is not meant for the mainstream audience. Also with very little buzz surrounding the film, it will be a challenge for the movie to register impressive numbers at the box office.